Dr. Sandra Bonura - I'm Sandee! When an old house in Berkeley, California, passed from one generation to the next, the floor of the attic needed repair. That construction project revealed five old trunks in the attic that had been forgotten for more than a century. Four of the trunks contained valuable scientific research records, correspondence, photograph albums, old newspaper clippings, and more. The late professor who had owned the home had been an internationally known scientist, so University of California archivists sought the collection for its value to the history of science. When the last trunk was opened, it contained an unexpected gift, an extraordinary surprise. The surprise was a young woman's handwritten love letters to her fiancé. These letters were postmarked between 1890 and 1893, when twenty-threeyear-old Carrie Prudence Winter was a missionary teacher at Kawaiaha'o Female Seminary in Honolulu. Carrie's letters to her beloved "Charlie" give the reader a private view into a nineteenth-century courtship. Carrie described teaching and living with Hawaiian girls, the often strict discipline she and her colleagues imposed, and her struggles with pedagogy, classroom management, and fellow teachers. She earnestly described her encounters with royalty as well as ordinary citizens in the Islands. She discussed profound health issues, such as leprosy, smallpox, and malaria, which irrevocably affected the lives of her students. She took a lively interest in writing about the turbulent politics that would ultimately lead to the revolution and to the annexation of the Hawaiian Islands. Carrie saw herself as an author, rather than a missionary or teacher, and had often envisioned a future for herself as a writer. She hoped to someday write a book chronicling those exciting years at Kawaiaha'o Female Seminary. Her first full-length feature article, penned on the job, is entitled "An American Girl in the Hawaiian Islands" and opens this book as chapter 1. Somewhere along the way, life's responsibilities intruded, and her book was never written. At long last, here is that book, with Carrie's chosen title!. The lengthy project required me to explore both the beautiful and dark passages of the history of Hawai'i and has deeply enriched my historical understanding and increased my love for the Islands and its people. An American Girl in the Hawaiian Islands is a century overdue, but is lovingly dedicated to the memory of Carrie Prudence Winter and her students, the first generation of "reluctant Americans". Into our rightful places in the sun. To clean, to feed, to help. Biography in process - fingers crossed for 2020! Please CLICK the link for the archived podcast and scroll down just a tiny bit. Each year the Association of American University Presses (AAUP) compiles its University Press Books for Public and Secondary Schools Libraries, a bibliography of titles submitted by member presses as a tool for collection development. The books are rated by committees of public and secondary-school librarians from two divisions of the American Library Association. University presses are publishers. At the most basic level that means they perform the same tasks as any other publisher. University presses acquire, develop, design, produce, market and sell books and journals. But while commercial publishers focus on making money by publishing for popular audiences, the university press's mission is to publish work of scholarly, intellectual, or creative merit. Miss Pope sitting at her desk in 1906 at the Kamehameha School for Girls with Lydia Aholo right behind her. Light in the Queen's Garden is an historical account of a short, stout, blue eyed feisty teacher from Bucyrus, Ohio who arrived in the Kingdom of Hawaii at the end of the 19th century. Ida Pope's assignment was to teach in Kawaiahao Seminary, a lively boarding school for Hawaiian girls, founded by American missionaries and led by Queen Lili'uokalani. Bonura uses newly discovered primary source materials to flesh out and enliven the historical account of the 1893 Hawaiian Revolution that happened literally outside the school's windows. Many of the towering personages in Hawai`i's history show up in the story as Ida sheltered Hawaii's daughters through the frightening and turbulent end of their sovereign nation. Ida Pope's firsthand account of the years that brought Hawai`i's daughters into womanhood during the annexation of their kingdom tells an important story about resiliency. Ida Pope became a source of inspiration for all the school's stakeholders, and with the approval of Queen Lili'uokalani, established the Kamehameha School for Girls. 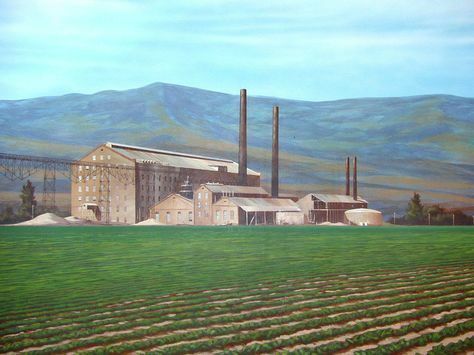 As Hawai`i moved into the twentieth century under a new flag, Ida confronted the effects of industrialization, the growing concentration of outside economic power and worked tirelessly to attain social reforms and give Hawaiian women their rightful place in society But, the male-dominated society and their Victorian view of the female role sought to thwart her efforts. Undaunted, Miss Pope, the pragmatic activist, achieved on a small island in the middle of the Pacific Ocean, what other extraordinary women like Jane Addams, Ida Tarbell and Lillian Wald were concurrently doing in her homeland. Alan Brennert, author of Moloka′i and Honolulu provided an early endorsement. Sandra E. Bonura, is both important and inspiring. " LIGHT IN THE QUEEN'S GARDEN! 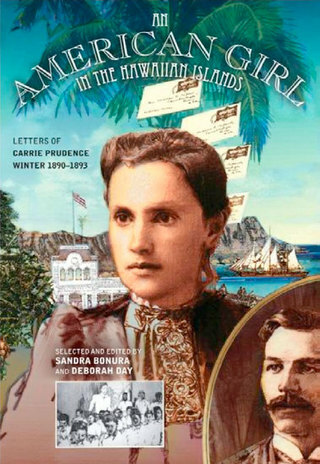 "Sandra E. Bonura's LIGHT IN THE QUEEN'S GARDEN is a beautiful and sensitive biography of Ida May Pope, an educator who lived through a pivotal period in Hawaiian history. Bonura has brought Ida Pope back to life through deep research and graceful writing. 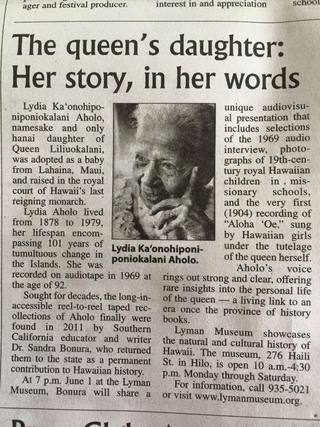 This is the definitive work on a pioneer teacher who transformed the lives of many Hawaiian women"
The Kohala Girls' School is still standing today on Hawaii Island. This "ULU" quilt was made sometime before 1914 by the girls of the first Kamehameha School and given to Ida Pope. It is now housed in the Lyman Museum. Thank you Barbara for displaying it for my talk. What a blessing! She gave the best part of her young life to develop in the Hawaiian girls a character of true womanhood. She was a woman of dignified, businesslike personality; firm yet kind, leading a life of true self-denial, sincerity, and all that makes a life of noble Christianity. She was a teacher, a principal, and above all, a mother and there is in the heart of every true Kamehameha girl a great “ALOHA” for her.